A family of heavy duty circular connectors based on the MIL-DTL-5015 form factor. Designed for use in demanding and rugged applications in both the military and industrial sectors. Used primarily for their ease of engagement and disengagement, with an ability to house different types of contacts. NYKCS also supplies the reverse bayonet style VG95234 used in military applications and extensively in the rail and mass transit markets. Contact our unbiased specialists who can advise and supply from a number of our trusted OEM suppliers. Follow our 'how to order MIL-DTL-5015' guide. 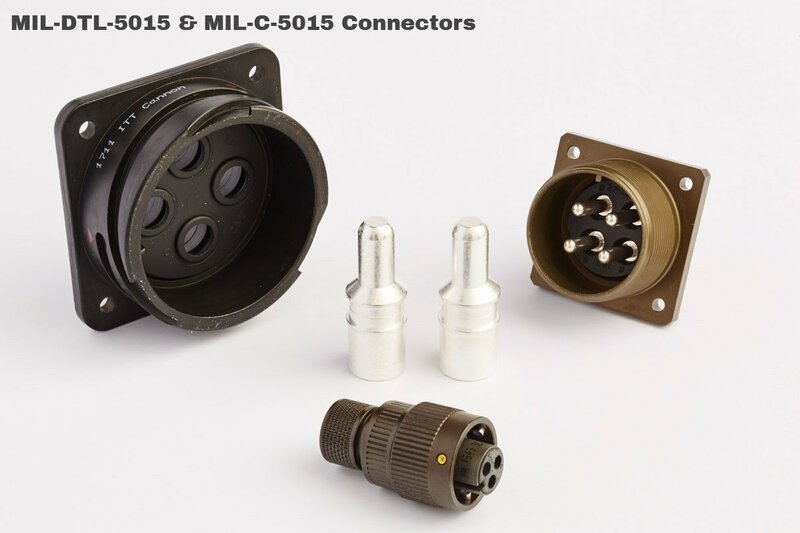 MIL-DTL-5015 connectors are one of the earliest military specified connectors and the commercial versions are now widely used where ruggedness and long life is required. Series III CRIMP REAR RELEASE contacts. What is your electrical requirement? Define your Shell Size. This will be dictated by your circuit demands so therefore your Contact Arrangement. Do you need to prevent mis-mating with similar neighbour connectors? Define if your connector needs a Polarising Position. 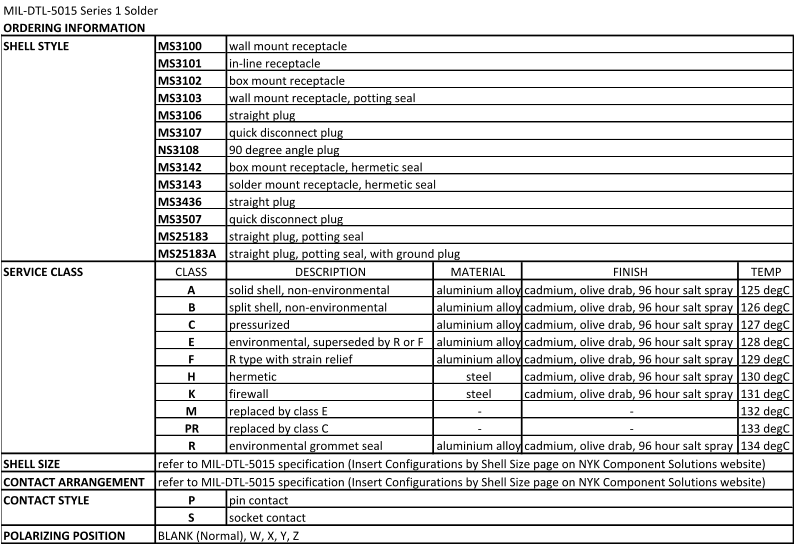 The tables below will assist you to construct an official MIL spec part number for a MIL-DTL-5015 connector. Many of the connector OEM’s have their own proprietary part numbers which we can cross reference to from the Mil part numbers. NYKCS are distributors for the industry leading connector OEM’s and we can provide unbiased advice for you to meet your technical and logistical requirements. Don’t Forget ! …. please contact the product specialists and account managers at NYK should you require any advice. We are here to help. 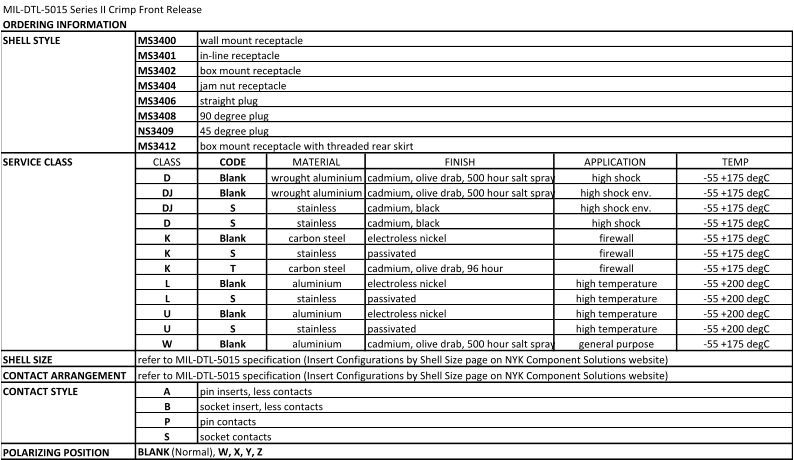 For SHELL SIZE and CONTACT ARRANGEMENT see the Insert Configurations by Shell Size page.